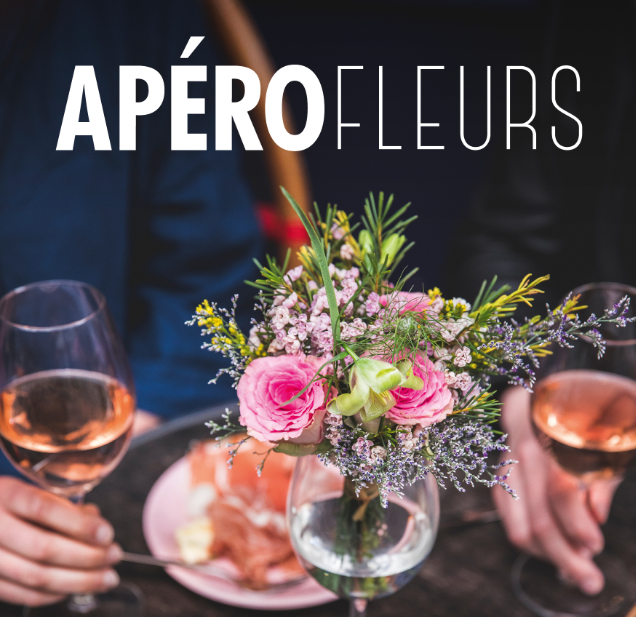 Retail kit, media, influencers: this autumn the whole of France will enjoy looking out over a glass full of flowers, thanks to ApéroFleurs: the new atmospheric aperitif 2.0. Following the success of the 'summer ApéroFleurs' (hand-tied bouquets in a wine glass or tall glass), this concept will be launched to the market in French florists this autumn. At the beginning of October, more than 1,500 florists will present ApéroFleurs in their shops, using a kit containing retail materials and with the support of their flower supplier. The campaign is organised by the Flower Council of Holland together with wholesalers Agora, Celdomy, FleuraMetz, Hilverda de Boer, Van der Plas and is supported by a national publicity campaign running from 28 September to 14 October 2018. Ron Jeronimus, French marketing manager at the Flower Council has been working on the ApéroFleurs concept for some time. This spring it was suddenly picked up by various exporters who saw something in the initiative. "We put our ideas together in a presentation and a model which we presented to different exporters", says Ron, the founder of the project. Jan Duyvesteyn from Van der Plas exporters: "We liked the idea so much that we organised an ApéroFleurs for one of our customers in France to kick-off the campaign. It was a huge success. The combination of the innovative concept with an aperitif for friends and family was a big hit! The results of the campaign will come later of course, but we found it a very enjoyable and useful exchange and value the commitment to our customers. For us the campaign is already a success, cheers!" The aim of the campaign is to open up the flower market in France, which is still fairly traditional, with small, casual bouquets that customers can easily enjoy anywhere. The informal 'apéro' setting - where you share a drink together, enjoy a snack, catch up - is the perfect time to create an atmospheric effect with a bouquet in a glass. They are nice to look at, and for millennials and centennials, who don't have much interest in classical flower arrangements, irresistible to put on Instagram. French florists can order the kit from the participating wholesalers. It contains a display case with glasses, bouquet cards and posters, and can be easily used to enthuse consumers with this innovative floral trend. The Flower Council of Holland supports the campaign with a national campaign, both in print and digital, and with radio commercials. In addition, geo-localisation is being used for the first time: a pop-up with the nearest participating florist will appear with the advertising. ApéroFleurs offer consumers an accessible, casual way to enjoy flowers. Small, quick to carry, easy to display: everyone has a glass in the house. It is an ideal way for florists to use up the last few flowers in a batch and to respond to the popular natural hand-tied bouquet style. Follow-up action is specially planned for the early autumn, after the summer holidays, when the French have more time to spend together.